Arwyn Roberts is a native of Denbigh and became our musical director in 2001. 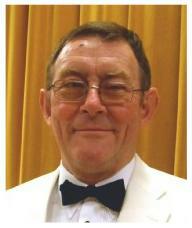 A founder choral member of Denbigh & District Male Voice Choir. Phyllis Dryhurst Dodd was the inaugural conductor. He was also a founder member of Cantorion Colin Jones. 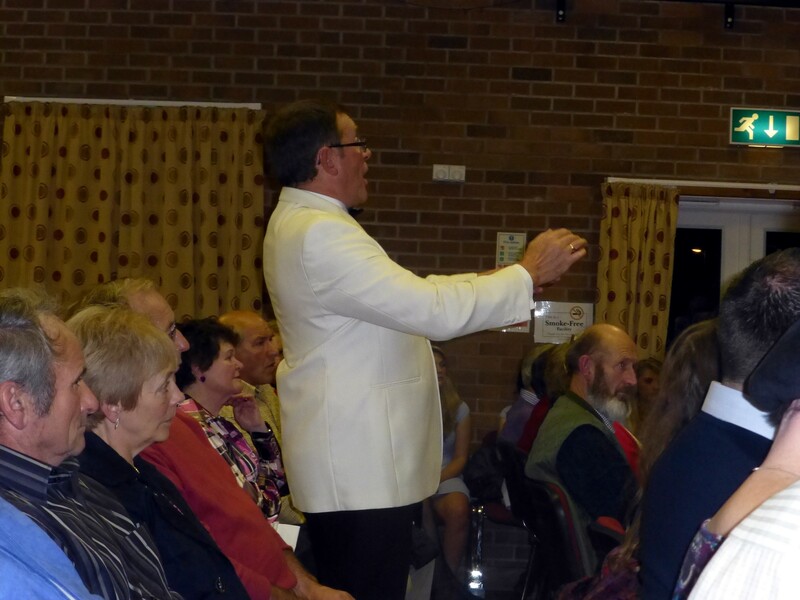 Arwyn also became Deputy Conductor and left the choir on Colin Jones’s retirement. A vast choral experience also includes being a member of Colwyn Male Voice Choir. His experience and musical ability has increased the quality of the choir’s singing. Arwyn is keen on producing the best possible sound quality for the choir. He gives us regular reminders to be careful with vowel sounds. The lyrics and interpretations of songs are also under Arwyn’s regular scrutiny. A believer in letting your face convey the sentiment of the song. He has also attracted many new choristers to the choir. The video footage taken from the National Eisteddfod at Denbigh in 2001. It shows Arwyn singing ‘Safwn yn y Bwlch’ with the Massed Male Voice Choirs in Concert. 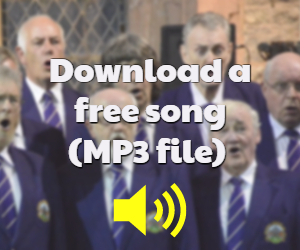 This popular, patriotic song is now part of the choir’s current repertoire. But Arwyn has now handed the solo duties over to his brother, Geraint Roberts. Arwyn has all the qualities and experience required of a conductor. Finally, he is also able to construct a well balanced concert programme from our repertoire. Our audiences compliment us for a concert programme which appeals to all musical tastes. This is an edited extended version of a Blog previously published on this website – Ed. Paul is a retired police officer and latterly police staff. My main interest is my love of welsh male choral singing. When not singing my other interests include gardening, travelling, visting National Trust sites and following Wrexham F.C.